Our buddy, Peter Alfonso, is still crankin’ out AOSP ROMs to this day. 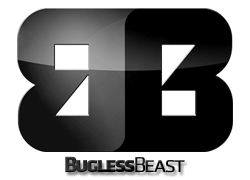 Last night, he released Bugless Beast for the LTE Galaxy Nexus (toro), which we recommend you jump on if you have yet to flash a Jelly Bean (Android 4.1) ROM. Pete usually keeps things as clean as possible, meaning he doesn’t add a bunch of fluff to his builds. If you are looking for something about as stock as it gets, this would be one to consider. He did toss in Chrome as the default browser, gave you free native tethering, Google Wallet, louder audio output, and improved scrolling. He also recommends that you “download offline speech recognition package in Google Search settings once ROM is installed.” Google Apps are included. You may need to do a full wipe going from ICS to JB, but it’s up to you. Verizon Branded LG Optimus LTE2 Pictured, Possible Launch in Two Days?